I'm just popping by to announce a couple of giveaway winners. Congrats, ladies! Paulette, please email me with your mailing info so I can pass it on to Simon! Cindy, Simon will be in contact with you! 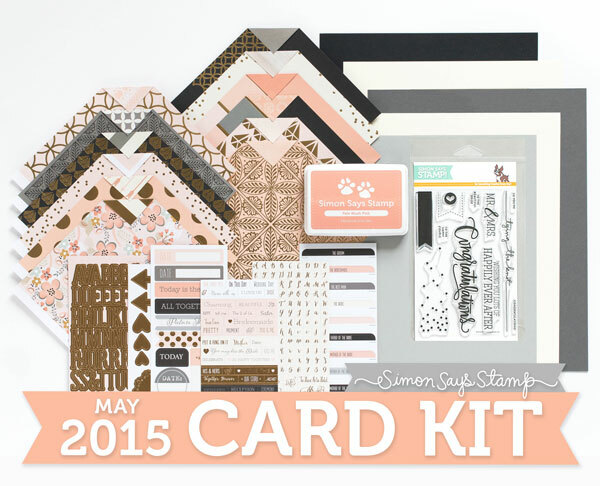 Simon Says Stamp Falling For You Mega Blog Hop (with GIVEAWAYS)!!! Welcome to the Simon Says Stamp Falling For You Mega Blog Hop in celebration of their newest release! This is the biggest blog hop Simon Says Stamp has had and I can't wait to go through it and see what everyone has created for it! You should be arriving from Lisa Adessa' s fabulous blog. For today's card, I used Simon's new Circle Dots Stencil along with their new Dotted Alphabet Stamp Set and Dotted Numbers Stamp Set. I used Simon's Audrey Blue, Doll Pink, and Green Apple dye inks along with sponge daubers and some Post-It tape (for masking) to create my background with the Circle Dots Stencil. I then die cut a piece Simon's Doll Pink Cardstock using dies from Simon's Stitched Slopes and Hills Die Set and white heat embossed the sentiment I created from Simon's Dotted Alphabet Stamp Set and Dotted Numbers Stamp Set. I finished the card off with some matching enamel dots. I'm looking forward to replicating this card with different colour combinations. 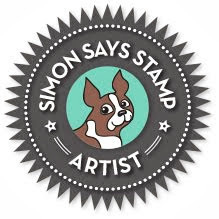 EACH stop along the way will have a Simon Says Stamp Prize pack up for grabs! All you have to do is leave comments on the blog hop posts for your chance to win! 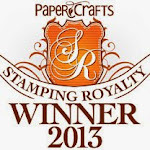 Winners will be chosen April 28th and emailed by Simon Says Stamp. Your next stop is the sweet and talented Sandy Allnock's blog.